This sample Chakra Balance Meditation was designed to practice anywhere you can find a peaceful quiet space away from any outside noise or distractions. 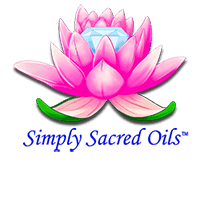 As with all of Simply Sacred Oil’s™ products, everything starts with positive intention. Before getting started review the Chakra chart below. 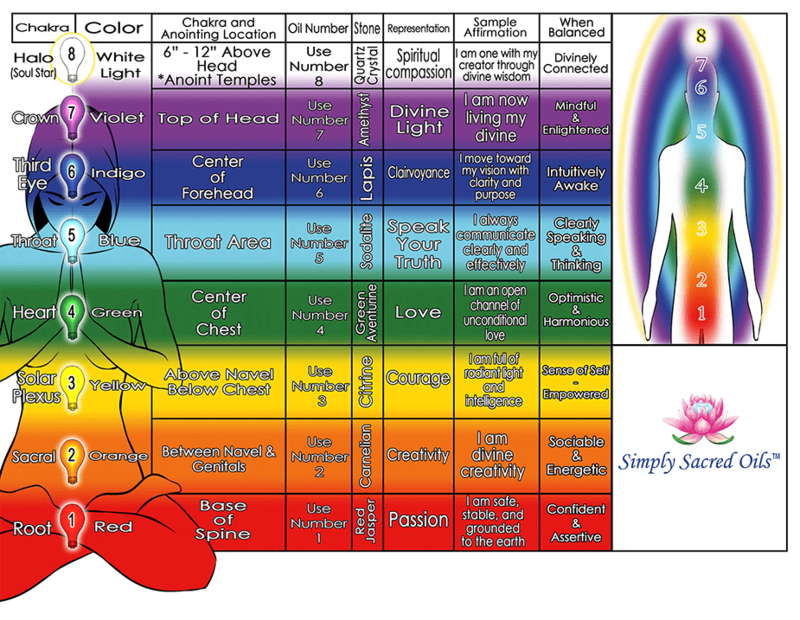 Each Chakra or energy center is numbered and color coded. Each oil is numbered to correspond with a Chakra and has a specific anointing location. The chart is designed as an easy to follow tool that will guide you. You may decide to anoint all areas noted before you begin or anoint as you go. Anointing all locations before beginning is always recommended and will allow you to move swiftly through each center to open the flow of energy and bring balance into your life. Example; Chakra 1 Root- Red, is located at the base of the spine. Anoint at the base of your spine with the bottle numbered oil 1, Red known as Passion. Do the same for the remaining 7. Sit comfortably allowing your arms and hands to rest wherever it feels best. Set your intention. Using creative visualization, see and feel your desired outcome in your mind. Creative visualization is a process of seeing your desired outcome in your mind. See yourself as balanced, clear and open to receive all Universal messages. You are an open receptacle for love, peace harmony and oneness. Starting at 1 the bottom of the chart and moving to number 8. 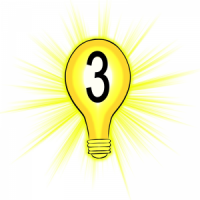 Take 3 deep breaths, in through your nose and out through your mouth before you begin. Chakra 1 Red Root PASSION. In order to be able to balance, clear and open your Chakra’s you must ground yourself. Take a deep breath and visualize your legs turn into the roots of a big oak tree, slowly moving deep into the soil and down to the core of the earth to ground yourself to the earth. See yourself firmly planted. You are now grounded and safe; one with the ground under your feet. 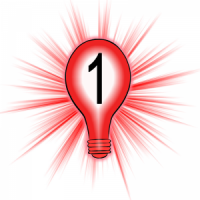 Move upward toward the base of your spine and see the faint red light connected to your 1st Chakra begin to get brighter and brighter until it is red hot and glowing brightly. Take a deep breath and repeat the following affirmation as you continue to watch the light bulb to burn brightly, each affirmation fueling the energy of the light. “I am safe, I am stable, I am grounded to the earth.” (DEEP BREATH) “I am safe, I am stable, I am grounded to the earth.” (DEEP BREATH) “I am safe, I am stable, I am grounded to the earth.” (DEEP BREATH). When you visualize the light is at its maximum brightness, allow the energy of the light to move you upward. You are grounded, open and clear to begin balancing the remaining energy centers. In most cases when there is an imbalance in any of the Chakra’s it will prove important to balance all Chakra’s to be completely open and centered. Continue by moving upward to the 2nd Chakra. The orange light is now visible in your mind and is beginning to get brighter as you watch the light from the bulb expand. As you begin to take your first breath and begin to speak your affirmation, the orange light is burning brighter and brighter. It continues to glow brightly as you repeat the following: “I am divine creativity.” (DEEP BREATH) – “I am divine creativity.” (DEEP BREATH) “I am divine creativity.” DEEP BREATH) – at the end of the third breath, you see the glow at its maximum capacity as you slowly begin your accent upward. You sense the warm light pass through, opening the pathway and lifting you upward toward the glow of the sun. You have successfully opened and cleared your 2nd Chakra. You are being drawn to the yellow light, a familiar, warm sensation resonating in your belly, like the warmth from a familiar blanket or a beam of sunshine on your face, a welcoming feeling. The yellow glow gets brighter and brighter with the following affirmation: ”I am full of radiant light and intelligence.” (DEEP BREATH) ”I am full of radiant light and intelligence.” (DEEP BREATH) ”I am full of radiant light and intelligence.” After your final deep breath you feel the warmth of the sun continue to warm and energize you, as the glow gets to its maximum capacity and the flow sweeps you forward and upward. The energy is like a flowing stream moving forward to clear and open your 3rd Chakra. You visualize a green light at your heart. It is like a sparkling emerald glowing and beaming brighter and brighter. It begins to glow and draw you closer to it. You cannot take your eyes off it. The light envelopes your heart with a wave of love and happiness. As it continues to glow, repeat the following affirmation: “I am an open channel of unconditional love.” (DEEP BREATH) “I am an open channel of unconditional love.” (DEEP BREATH) “I am an open channel of unconditional love.” Each affirmation brings the light to its maximum brightness, allowing you to feel that channel open, allowing the love to now flow freely. You are open, and free to give and receive love. Your heart center is now open and is overflowing with love. You are being lovingly guided upward to see the light that has started to brighten. Your 4th Chakra is open and clear and full of love. Visualize the light as it begins to get brighter, and brighter before you. The sky blue light is reminiscent of a clear and bright morning on the horizon of a new day. Continue to watch as the blue light now begins to glow. The closer you look the brighter it becomes. Each affirmation fostering more brightness. Repeat the following: “I always communicate clearly and effectively.” (DEEP BREATH) “I always communicate clearly and effectively.” (DEEP BREATH) “I always communicate clearly and effectively.” (DEEP BREATH) “I always communicate clearly and effectively.” Take your final breath and notice the light bulb glowing at its maximum capacity and sending a surge of energy through your chest and up past your throat to clear the passage upward. See your throat Chakra, open and clear to speak. Know that your 5th Chakra has been energized and open. This upward flow of energy brings you to a bright blue beaming light burning brightly. Repeat the following words: “I move toward my vision with clarity and purpose.” (DEEP BREATH) “I move toward my vision with clarity and purpose.” (DEEP BREATH) “I move toward my vision with clarity and purpose.” As you take your final deep breath you begin to sense a heightened clarity and knowing. You sense your connection to the Universal flow of energy as it propels you upward. Your 6th Chakra is clear, open and you are connected. Notice the vortex of energy lifting you upward to see the brightly burning violet light. The energy of the Divine. Notice the light glowing around you and from your crown. Visualize the light at maximum capacity and feel the loving light embody you and carry you upward toward the white golden beam 12” above your head. Visualize this light emanating through you not contained but vast. You are connected to the Divine Light as it lovingly carries you on the wings of angels to the 8th Chakra, Halo, your Soul’s connection. “I am one with my creator through divine wisdom.” (DEEP BREATH) “I am one with my creator through divine wisdom.” (DEEP BREATH) “I am one with my creator through divine wisdom.” As you repeat your final affirmation and gather your final deep breath, know that you are in the Light of the Universe and Universal Love, connected to your Soul and Purpose on earth. 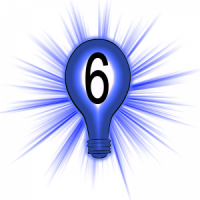 Close your eyes and count downward from 8, after each number see each light bulb brightly burning and crystal clear. Give thanks as you are now grounded, clear, open and connected to the Universe and your Creator. All 8 Chakra’s are clear, open and ready to be balanced. Next step is balancing each energy center. 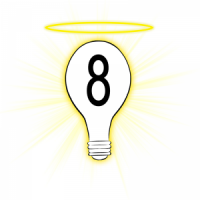 You may now descend from 8 and give thanks for each step and guidance. SEE the 8th Chakra color, white light and the Halo 6-12″ ring above the top of your head. Also known as the Soul Star, Halo Chakra, Spiritual Compassion, see the bright white and golden glow of light, acknowledge the connection to your Soul’s Purpose. Deep breath, give thanks. 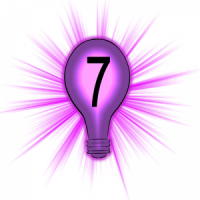 SEE violet the 7th Chakra, Crown, feel the bright loving violet light at the top of your head, acknowledge the “light.” Deep breath, and give thanks. SEE indigo blue Chakra 6, Third Eye, Clairvoyance, acknowledge the beauty of the light blue light, for the vision, clarity and purpose. Deep breath, give thanks. 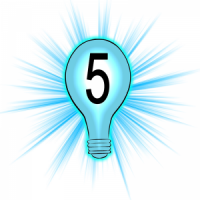 SEE light blue Chakra 5, Throat, Speak Your Truth. Acknowledge the bright blue color light and the ability to speak clearly and effectively. Deep breath and give thanks. 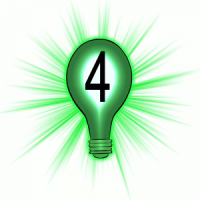 SEE emerald green, Chakra 4, Love, Acknowledge that you are an open channel of unconditional love. See the bright green light burning eternally in your heart energy center. Deep breath, give thanks. SEE yellow, Chakra 3 Solar Plexus Courage. Acknowledge the warmth of the bright light shining down upon you and the radiant light and intelligence that is in you. Deep breath, give thanks. 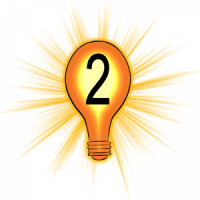 SEE orange, Chakra 2 Creativity and acknowledge the abundance of creativity that has been divinely provided to you. Deep breath, give thanks. And finally, See red, Chakra 1 Root, Passion. Acknowledge that you are safe, secure and sound. You are rooted to the earth and balanced. You are balanced and at peace, your foundation is strong and built with love. You are one with the Universe and connected to The Divine. This is a simple 20 minute practice to bring peace and harmony into your life on a daily basis. Consider practicing daily or when time allows.